Following weeks of turmoil within the leading coalition party, Fianna Fail, in which Taioseach (Prime Minister) Brian Cowen (The fourth highest paid politician in the world) was forced to resign as party leader, the Green Party, has withdrawn its support for the governing coalition leaving it without a majority. Parliament has since been dissolved and an election called for the 25th February. Fine Gael, a party formed from a merger of the right wing pro-treaty Sinn Fein offshoot Cumann na nGaedheal and smaller fascist elements (a legacy that persists in the party to this day), on the other hand has only ever been in power, paradoxically, in coalition with Labour; the most likely outcome of the election, with polls as they stand. There is an outside chance however of a Labour-Sinn Fein coalition government with the help of left wing independents who have agreed to stand together under a United Left Alliance banner. The ULA have managed to secure the support of the Socialist Party, People Before Profit Alliance and the Workers and Unemployed Action Group but have yet to approach left-republican parties such as the Irish Republican Socialist Party and Eirigi. 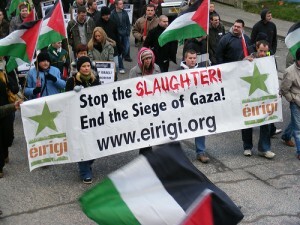 Eirigi, who formed from a split within Sinn Fein in 2006 over its increasing abandonment of both Republican and Socialist principles, have recently announced their intention to stand two councillors in the North (they currently have two council seats in the South) for the first time. The group are notable for their extremely active presence in political campaigns and protests on both sides of the border and their well produced and widely disseminated campaign literature. One of their newly-selected Northern candidates Padraic McCotter, a relative of former IRA Chief-of-Staff Seamus Twomey who joined the movement in the 1930’s and stuck with the current Sinn Fein leadership until his death in 1989 (two of McCotter’s brothers have also served jail time for IRA activity), explained ““When I first became involved in the republican struggle, the goals of the civil rights movement were making the headlines, including the right to a job and the right to a home. Forty years later, these very basic and very limited demands have still not been achieved.” Party Chairman Brian Leeson however cautioned that “Elections will constitute only part of that fight back. Ultimately, real change in this society will only come about when enough people get politically active in their communities, on the streets and in their workplaces.” Eirigi and other, more militant republican political groupings are also backing Ex-Sinn Fein Assembly Member Davy Hyland to stand as an Independent. Despite the apparent snub of republican parties by the ULA; Socialist Party leader and MEP Joe Higgins has stepped in to the defence of Gerry Mcgeough following his legal trial covered in this column last month. Mcgeough was arrested at the vote count after challenging Sinn Fein in the 2007 Assembly elections as an independent republican and was tried in a no-jury “Diplock” court November last year (the verdict still pending) for IRA membership and activity from 1975-81 despite having received a Royal Pardon and the fact there are many within the Sinn Fein leadership who engaged in similar activity some as recently as 2005. The lack of support for Mcgeough from other independent republicans had been put down to the fact that he was very much on the right wing of the movement, having previously masterminded Sinn Fein’s anti-EU campaign and spoken out forcefully against his former party’s pro-choice stance; thus making Higgins’s intervention even more surprising. 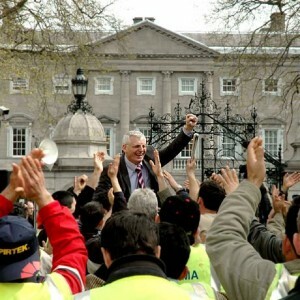 During Higgins’s election to the Dáil from 2002-2007 he often raised the issue of exploitation of migrant workers in Ireland and was imprisoned for protesting against the highly controversial and regressive Bin Tax. He has since used his platform as MEP to highlight the role of the IMF and US foreign policy in causing global financial crises and Israel’s attack on the Mavi Marmara. Last month he received a reply to an email he wrote to Northern Ireland Secretary of State and Tory MP Owen Patterson telling him Mcgeough’s trial “seems at odds with the provisions of the Good Friday agreement” and that he “would like to register” his “protest at the ongoing use of Diplock courts in Northern Ireland which… fall far short of the best of what is normally available.” Patterson did not give an answer as to why Mcgeough was being targeted but replied that the use of Diplock courts is no longer used except in exceptional circumstances and that “there would be a risk to the administration of justice were the case to be tried before a jury.” A bizarre turn of phrase given that Diplock courts were introduced to the North precisely to undermine the administration of justice after Internment-by-remand proved unfeasible. Sinn Fein Leader Gerry Adams’ resignation as MP has continued to cause confusion this month as Prime Minister David Cameron claimed “The Honourable Member for West Belfast has ‘accepted an office for profit under the crown’ which is of course the only way one can retire from this house” and gloated “I’m not sure that Gerry Adams will be delighted to be a Baron of the Manor of Northstead” to much laugh but nonetheless I’m pleased that tradition has been maintained” to howls of laughter from unionist and Tory backbenches. 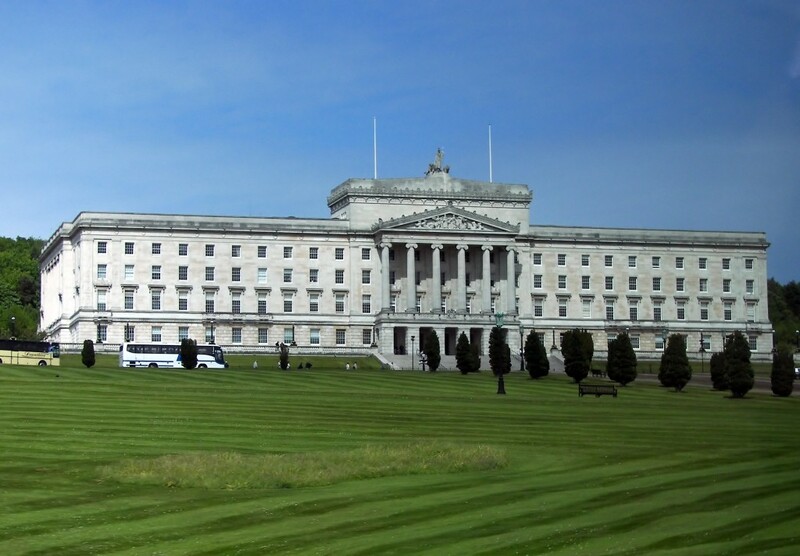 The rule that an MP can only resign by being disqualified for “accepting an office for profit under the crown” dates back to 1624 but causes a dilemma for Sinn Fein who refuse to take seats in the House of Commons because it involves swearing an oath to the crown which they do not recognise as having legitimate authority over the Irish people. Adams later claimed that he had only written a letter of resignation accepting no such title and had received a phone call from David Cameron’s private secretary apologising profusely. David Cameron’s use of the parliamentary term “Honourable Member” to refer to Gerry Adams is unprecedented for either a Conservative or Prime Minister since he was first elected MP for West Belfast in 1987. Sinn Fein and families of the victims of Bloody Sunday decided that the 39th anniversary march on January 30 would be the last due to the recent publishing of the Saville Report which cleared all 14 men murdered by British Paratroopers of wrongdoing after decades of false accusations against them by the British Army and Government. 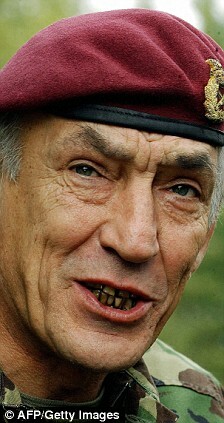 The Saville Inquiry, agreed as part of the negotiations that led to the Good Friday Agreement, lasted 12 years and cost £191 million due to the UK’s lack of Freedom of Information rights and the Ministry of Defence insistence on putting every witness statement under judicial review in order to delay proceedings. Despite the apparent extensiveness of the inquiry it did not touch on the systematic nature Parachute Regiments’ murder of demonstrators (11 innocent men were murdered by the same regiment over 3 days only months earlier in Gerry Adams’s hometown of Ballymurphy and hundreds of others were killed one or two at a time by the British Army and Police) or issue indictments against any of the murderers, many of whom were decorated with medals afterwards. Mike Jackson who served as adjutant to the murderers of Bloody Sunday was later given a “Distinguished Service Order” and Knighted by the Queen before going on to serve as Chief of General Staff of the British Army during the Iraq War (where everyday of every week was bloody for the Iraqis). Many implausible, seemingly pre-negotiated claims were also put forward by the Inquiry such as the assertion that one of the boys murdered had a nail bomb on his possession but “no intention to use it” despite the fact it had already been proved that the nail bomb was planted. Martin Mcguinness was also accused of carrying a machine gun that day despite photographs of him on Bloody Sunday showing this not only to be untrue, but also showing that he would have no-where to conceal one if it were; and his claim that the IRA was told not to carry arms that day was accepted by the Inquiry. Thus the idea put forward by Sinn Fein that there is no longer any reason to mark the events of Bloody Sunday rings hollow and subsequent anniversaries are likely increase tension between them and independent republicans (as currently happens with Anti-Internment bonfires that Sinn Fein now oppose) who will continue to march on 30 January. 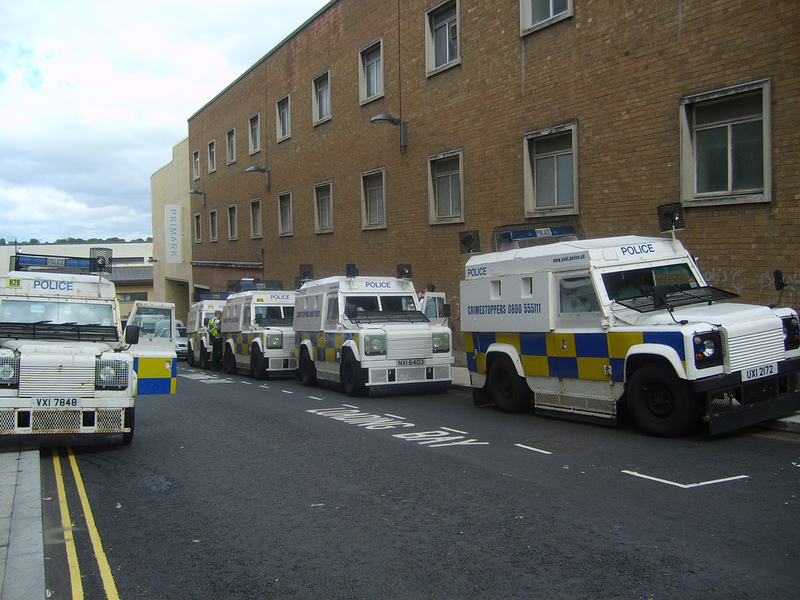 Armoured police vans swarmed into Antrim Road, Lurgan last week, sealing off roads as they investigated unfounded reports of mortar devices in the area, prompting crowds to gather. To disperse the gathering the police fired rubber bullets striking one young man in the leg causing the crowd to throw paint and petrol bombs. Similar disturbances also occurred on the same day in Larne (a predominately Unionist town that is due to host a controversial immigration detention centre). An off-duty Police Officer also shot a man dead on Albertbridge Road, East Belfast Thursday after an alleged robbery with some reports suggesting he was shot dead after leaving the shop a local businessman to ask ““Why did he shoot him right in the chest? He could have aimed lower. The boy was still someone’s son.” The man has been named as Marc Ringland while no information has yet come forward about his killer nor has CCTV footage been released. 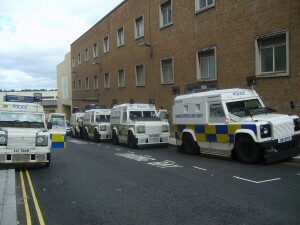 Off-duty officers are allowed to carry guns in Northern Ireland where there are more than 144,000 licensed guns (8 per 100 people; twice as many per capita as Scotland) with the largest constituency of gun-owners being former RUC, UDR (Northern Ireland’s discredited former police force and army regiment respectively) and Royal Irish Regiment members. Unionist politicians including First Minister Peter Robinson also carry guns (in a land where decommissioning was supposed to have “taken the gun out of politics”) and one wounded his wife due to an accidental discharge. Omayr Ghani is Ceasefire‘s Political Editor.